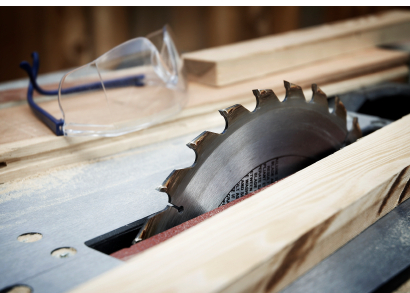 If an unsafe or defective table saw or power tool has caused you injury, we can help. The table saw is one of the most common woodworking implements in use, and can also be used to cut other substances, such as plastic and metal. However, it is also one of the most dangerous, and if improperly manufactured or designed can cause serious injury. Around 67,000 people are injured in table saw accidents in the United States every year, and over 30,000 people seek medical attention in emergency rooms for these accidents. Not all of these injuries are serious, of course. But more than 4,000 table saw-related amputations (typically of the fingers or part of the hand) take place every year. All told, table saw accidents cost Americans over $2 billion in medical bills every year. Table saw accidents often cause injury to the fingers or hand. The loss of fingers is one of the most serious and well-known effects of a table saw accident. Even if the fingers can be saved, the effects of a deep cut can be serious and long-lasting. Finger loss, however, is not the only type of injury that can result from a table saw. A phenomenon known as kickback occurs when a piece of wood (or other material) being cut by a table saw shoots rapidly away from the saw and towards the operator. Kickback can cause major injuries to the face, head, neck, chest, or any other part of the body which is hit by the flying wood. Not only that, but the momentum of the kickback can pull the table saw operator’s hand across the blade, also causing hand injuries. In recent years, there have been a few devices designed to minimize the various risks associated with table saws. RIVING KNIFE: A metal cover that keeps the wood from getting caught in the rotating blade – prevents kickbacks. Don’t guess about your legal rights or the value of you claim. If you’ve been injured by a table saw, you owe it to yourself to find out whether you can receive compensation. One of these is the riving knife, which is a curved splitter which sits behind a table saw blade and moves with the blade as it cuts the wood. Riving knives are used to prevent the blade from getting stuck in the wood, which can cause ripping kickback, one of the most common types of kickback. Another new device is known as SawStop. SawStop causes the rotating blade of the table saw to stop once it comes in contact with human skin. It does this by sending out a small electrical signal that recognizes the electrical conductivity of the human body. In most cases, the blade stops at once, and operators who would have lost a finger get away with only a small cut. SawStop has been around for well over a decade now, and is very effective at preventing table saw injuries… but incredibly, most table saw manufacturers don’t put this device in their table saws. Why is this the case? Well, adding a SawStop to every single table saw on the market would raise the price of table saws, thereby cutting into the table saw manufacturers’ profits. Of course, if you have lost a finger to a table saw which could have been made safer, you probably aren’t satisfied with this explanation. And neither are we. Across the board, table saw manufacturers fail to include basic safety features in their products. SawStop is not the only example of this, either, just one of the most obvious. There are a number of features which are proven to decrease injuries but which manufacturers routinely fail to install. We can’t control these table saw manufacturers… but we can send a strong message to them that if they try to save money by disregarding consumers’ basic safety, they will lose that money to lawsuits. If you have been injured in a table saw accident, and the company responsible for manufacturing the table saw failed to include a safety feature which might have protected you, then you may be eligible to file a lawsuit against the manufacturer. A number of table saw accident victims have filed lawsuits against manufacturers in recent years, and so you will not be alone. Table saw lawsuits are a type of product liability case. Product liability law is a subset of personal injury law which allows people who were injured by poorly designed, manufactured, or labeled products to sue the party responsible for the product defect. Table saws will always be a little inherently dangerous to use… but they are still required by product liability law to be reasonably safe. This means that you have the right to expect not to be injured if you are using a table saw as an ordinary person would, for its intended use… and if you are, then you may be able to hold the manufacturer liable for your injuries. Product liability lawsuits are easier than many other types of personal injury lawsuit, because you do not need to prove negligence on the part of the company. Instead, you can recover damages through the doctrine of strict liability. Don’t guess about your legal rights or the value of your claim. If you’ve been injured by a table saw, you owe it to yourself to find out whether you can receive compensation. TorkLaw represents clients nationwide who have been injured by all types of saws ranging from construction site wood saws to table and stationary saws. FREE CONSULTATION TODAY 888.845.9696.